Our aim is to promote a zero waste culture of ‘rethink, reduce, reuse and recycle’, in order to significantly reduce waste and increase recycling across all areas of the university estate. The university has invested heavily in waste and recycling facilities which are standardised across the entire university. 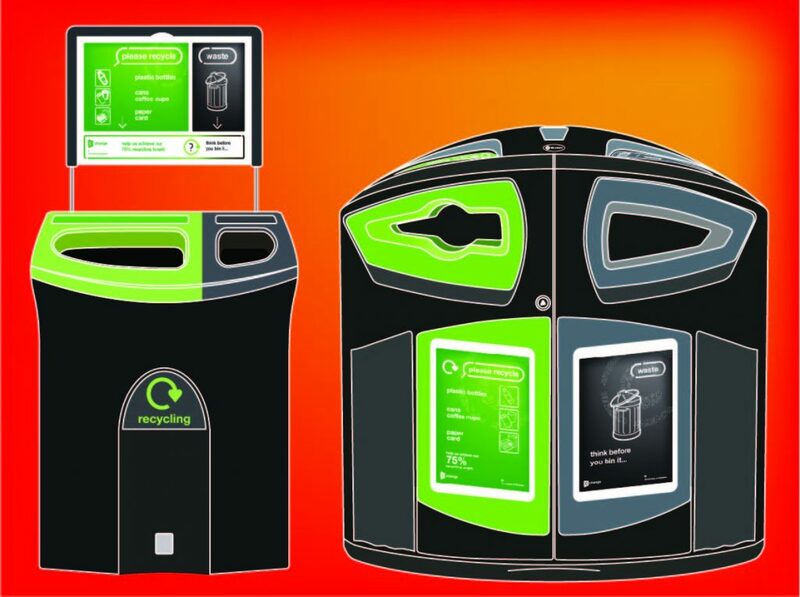 The bins are always located in pairs (one recycling and one waste bin), making the choice to recycle just as easy as throwing something away. What can you recycle on campus? Click the images below to enlarge and view in more detail. 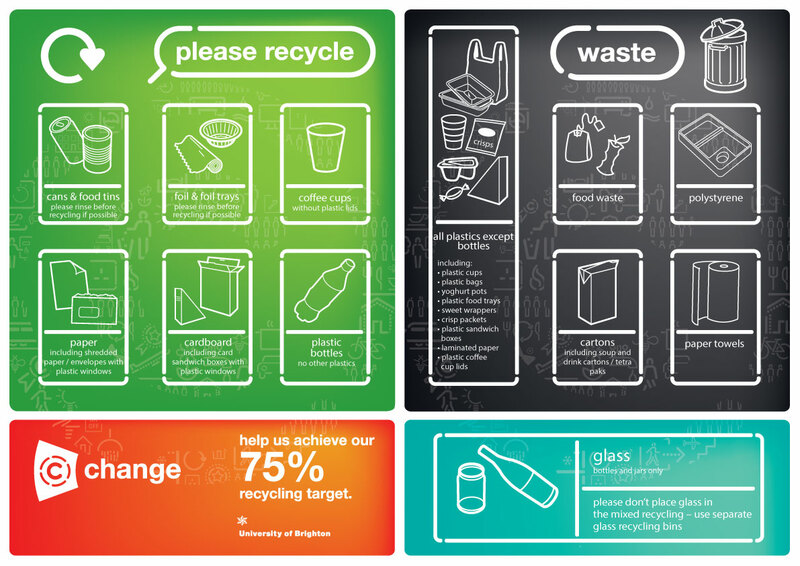 What can you recycle in your halls of residence? Visit the halls recycling competition webpage for full information on recycling in halls. 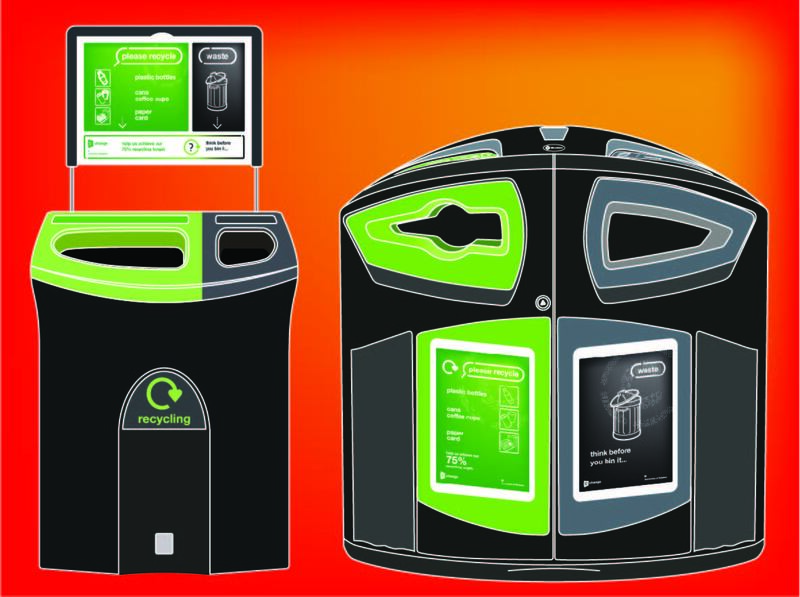 Batteries can be recycled in special battery recycling bins on all campuses. If you’re unsure where your nearest battery bin is, please ask a caretaker or your halls reception. Reusable cups: Cut Waste. Cut Carbon. Save Money! MyCup is the University of Brighton reusable cup scheme, encouraging staff, students and visitors to ditch the disposables! Here at the University of Brighton our goal is to reduce the number of disposable drinks cups we throw away by 125,000 a year. We want our customers to benefit from using a reusable cup – either by using their own, or buying a reusable ECoffee bamboo cup from any of our outlets. Every time a reusable cup is used it avoids another disposable cup being thrown away and you will avoid being charged an additional 10p- saving resources, reducing waste and saving our customers money! If you have trouble locating the TRAID bank, please ask the EFM site staff on your campus. Member of staff looking for info on waste and recycling and Warp-IT? Visit the staff central waste pages.